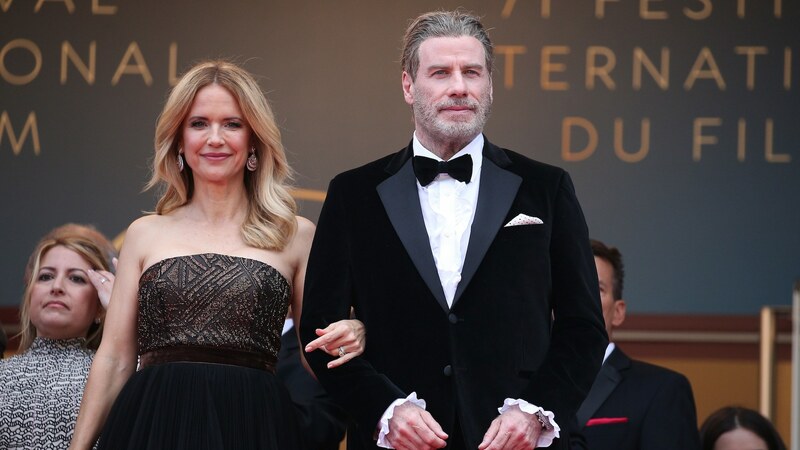 It’s been a minute since we’ve heard from John Travolta and his wife of nearly 30 years, Kelly Preston. The pair was most recently seen at the 2018 Cannes Film Festival, where Travolta was promoting his new film, Gotti. Interestingly, the couple’s trip to Cannes renewed the public’s interest in the couple’s relationship to Scientology and, thanks to some new claims reported on by The Daily Beast, there may be a darker, more intense aspect to Travolta and Preston’s lives as practicing Scientologists than we know. According to The Daily Beast, Travolta made some comments connecting his work and beliefs as a Scientologist during a group interview of mostly young filmmakers and actors. Specifically, he was speaking about some of his more famous film roles and how Scientology gave him some tools to achieve success. Since Travolta so rarely speaks publicly about his life in the church, the comments have grabbed our attention. Travolta’s sunny depiction of how Scientology positively affects his life seems to be in contrast with the allegedly darker and stranger relationship he has to the church — and it seems that for better or for worse, he will never leave. The Daily Beast spoke to Jeffrey Augustine, an ex-Scientologist who noted that Travolta benefits from certain protections that Scientology offers (especially when it comes to the dogged and unsubstantiated rumors that he is a closeted gay man) and that he supports Preston’s (whom Augustine calls a “‘true believer'”) relationship to the church. While Augustine didn’t elaborate on specific examples of Travolta’s dark side or what kinds of reckless behavior he’s engaged in, it certainly isn’t a comforting endorsement of one of Scientology’s golden members. Even former high-ranking, powerful Scientology executive Karen De la Carriere went on the record to say that Travolta is “a bad boy who likes risky sexual adventures,” but again, provided no specific examples. Meanwhile, The Daily Beast’s report claims that Preston is a more fervent believer, an “anchor” for Travolta, and is completely inured to negative claims about Scientology from the press. Neither Travolta nor Preston has issued a response to The Daily Beast about the claims made by Augustine or De la Carriere. That said, these new hints as what life is really like for this celebrity couple will undoubtedly make you stop and wonder what’s really going on in the Church of Scientology.